When a number of good quality embryos are obtained during in vitro fertilization procedure, eggs that are not transferred shall be frozen and preserved. If needed, such embryos can be thawed and used for the next treatments. A minimum of 2 frozen eggs are required for such an attempt. 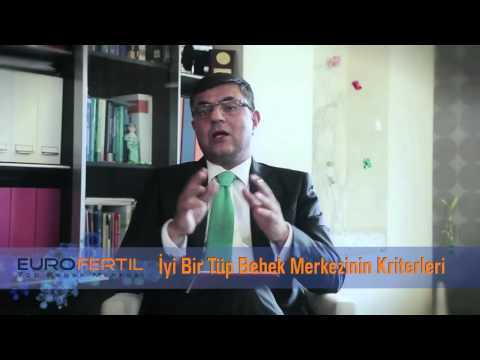 Embryos that are frozen with a consent by couples can be preserved in liquid nitrogen for five years in accordance with the regulations in Turkey. In case of divorce or death of one of the spouses, the consent form for embryo freezing shall be considered terminated and embryos will be disposed. The Cryo procedure is economical. As we already have embryos available, ovarian stimulation with medication and re-retrieval of eggs will not be required. This will reduce the cost of treatment by half. This is less stressful for patients. There is no risk of failure to obtain eggs or embryos as well as stress for surgery. Patient's adherence to the treatment is easy. Side effects of the treatment are less. How Cryo Cycle is Administered? The treatment requires use of tablets containing estrogen hormone. This hormone allows a healthy development of the intra uterine membrane where the embryo will be placed. When endometrium reaches the appropriate thickness, embryos will be thawed and transferred. The Cryo Cycle can also be applied during natural menstrual period in some patients. Will Any Problem Be Confronted In Infants Born As A Result of the Cryo Cycle Procedure? Studies revealed that babies born this way are not at risk for anomalies. The present technology (vitrification) allows 95% of frozen embryos to be dissolved without any problems. Pregnancy rate is 30-40%. The embryos remaining (non-transferred) after the IVF/ICSI treatment are preserved with your consent for using in any further treatment. No fee is charged for freezing and further preservation. Your embryos are preserved for a period of 5 years as long as you are married, and you consent. Legally, you are required to submit a petition to our clinic each year in order to continue with the preservation of your embryos. 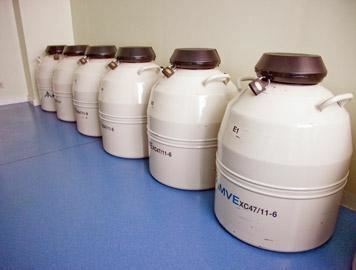 Embryos are preserved for an additional period of one month and destroyed in accordance with the legal requirements in case you do not make an application upon expiry of one year. The destruction is performed in the presence of an official from the directorate of health.